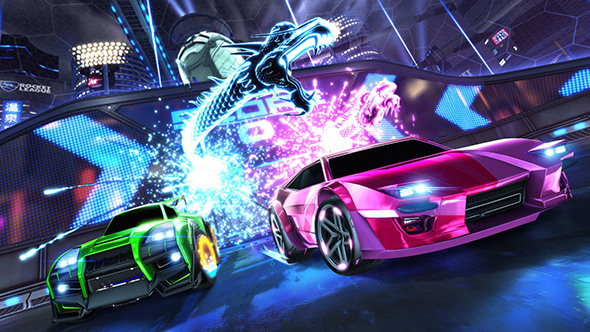 Rocket League developers Psyonix have confirmed they are working on cross-platform party support and hope to make the feature available in 2018. Did you know Rocket League is a sequel? Find out more in the making of: Rocket League. This news comes after a Twitter user asked Rocket League Help, the official support account for Rocket League, whether Psyonix is currently working on a cross-platform party system, and if so, what the possible release date could be. Currently, it is not possible to create a fully mixed-platform party in Rocket League. Voice chat only allows players to communicate with those on the same platform, and those who wish to play with friends on different platforms can only do so through private matches, which require invites. Cross-platform party support will allow players to create parties and play with those on other platforms, but there’s still no word as to whether Sony will play ball.